A common sign of nearsightedness is difficulty with the clarity of distant objects like a movie or TV screen or the chalkboard in school. A comprehensive optometric examination will include testing for nearsightedness. An optometrist can prescribe eyeglasses or contact lenses that correct nearsightedness by bending the visual images that enter the eyes, focusing the images correctly at the back of the eye. Depending on the amount of nearsightedness, you may only need to wear glasses or contact lenses for certain activities, like watching a movie or driving a car. Or, if you are very nearsighted, they may need to be worn all the time. Another option for treating nearsightedness is orthokeratology (ortho-k), also known as corneal refractive therapy. It is a non-surgical procedure that involves wearing a series of specially designed rigid contact lenses to gradually reshape the curvature of your cornea. The lenses place pressure on the cornea to flatten it. This changes how light entering the eye is focused. Laser procedures are also a possible treatment for nearsightedness in adults. They involve reshaping the cornea by removing a small amount of eye tissue. This is accomplished by using a highly focused laser beam on the surface of the eye. For people with higher levels of nearsightedness, other refractive surgery procedures are now available. These procedures involve implanting a small lens with the desired optical correction directly inside the eye, either just in front of the natural lens (phakic intraocular lens implant) or replacing the natural lens (clear lens extraction with intraocular lens implantation). These procedures are similar to one used for cataract surgery patients, who also have lenses implanted in their eyes (intraocular lens implants). If one or both parents are nearsighted, there is an increased chance their children will be nearsighted. visual stress–There is significant evidence that many people inherit nearsightedness, or at least the tendency to develop nearsightedness. If one or both parents are nearsighted, there is an increased chance their children will be nearsighted.Even though the tendency to develop nearsightedness may be inherited, its actual development may be affected by how a person uses his or her eyes. Individuals who spend considerable time reading, working at a computer, or doing other intense close visual work may be more likely to develop nearsightedness. People who do an excessive amount of near vision work may experience a false or “pseudo” myopia. Their blurred distance vision is caused by over use of the eyes’ focusing mechanism. After long periods of near work, their eyes are unable to refocus to see clearly in the distance. The symptoms are usually temporary and clear distance vision may return after resting the eyes. 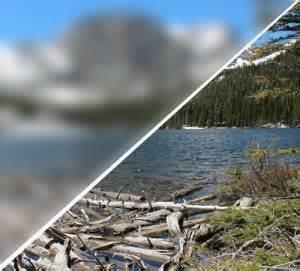 However, over time constant visual stress may lead to a permanent reduction in distance vision. An optometrist can evaluate vision and determine the cause of the vision problems. A phoropter and retinoscope are often used to determine the lenses that allow the clearest vision during a comprehensive eye exam. Using the information obtained from these tests, along with the results of other tests of eye focusing and eye teaming, your optometrist can determine if you have nearsightedness. He or she will also determine the power of any lens correction needed to provide clear vision. Once testing is complete, your optometrist can discuss options for treatment. vision therapy for persons with stress-related nearsightedness. Eyeglasses are frequently used to correct myopia. A large selection of lens types and frame designs are now available for patients of all ages. Eye glasses are no longer just a medical device that provides needed vision correction, but can also be a fashion statement. They are available in a wide variety of sizes, shapes, colors and materials that not only correct for vision problems but also may enhance appearance. People who are highly nearsighted or whose corneas are too thin to allow the use of laser procedures now have another option. They may be able to have their nearsightedness surgically corrected by implanting small lenses in their eyes. These intraocular lenses look like small contact lenses and they provide the needed optical correction directly inside the eye.